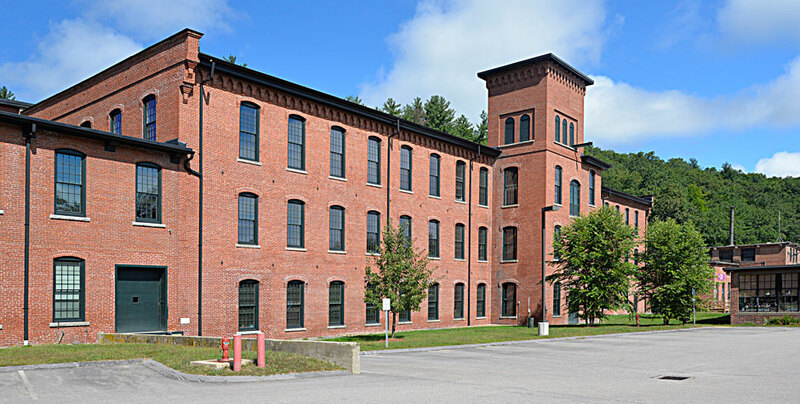 Serving as a key gateway project for the town of Milford, New Hampshire, Dakota’s Pine Valley Mill is an historic rehabilitation of an 1870’s mill into a modern 70,000 square-foot mixed-use building with 35 one bedroom and 15 two-bedroom apartments. 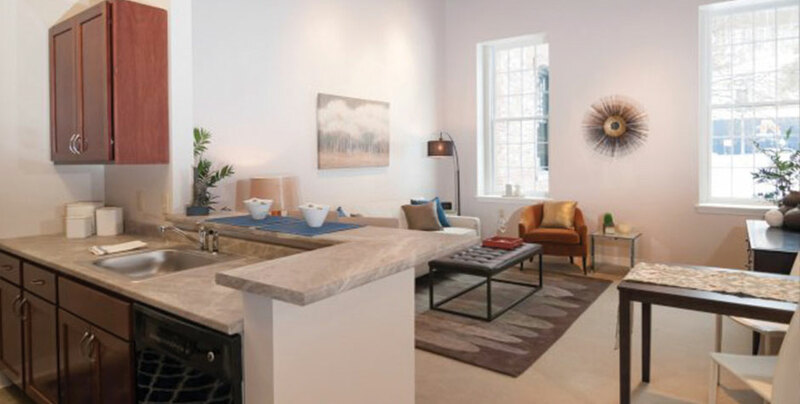 The apartments feature a loft-style design aesthetic, including high ceilings with exposed beams, oversized double-hung windows and brick walls scattered throughout the building. 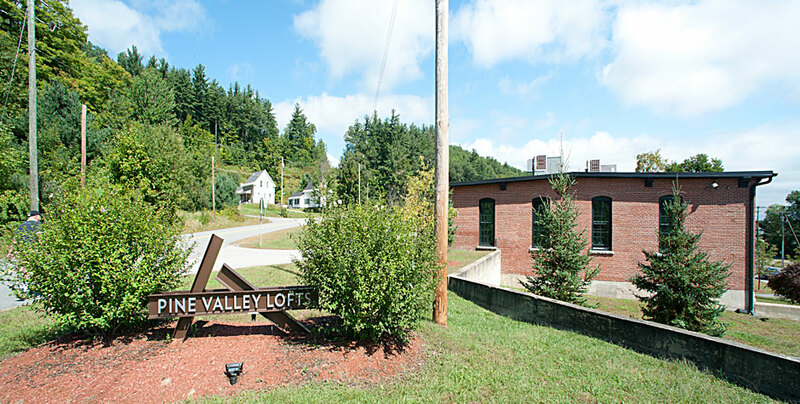 Nestled along the banks of the Souhegan River, Pine Valley Lofts is located just minutes from Nashua and within a half-hour drive of Manchester. The three-story brick building, which is listed on the National Historic Register, was originally built in 1866 for the manufacturing of woolen carpets. Dakota’s rehabilitation of the building earned it a 2014 Preservation Achievement Award from the New Hampshire Preservation Alliance. The mill also has its own hydroelectric plant that dates back to the mid-1800s. The facility continues to operate, using water from the Souhegan River to generate 1.7 million kWh of energy annually. Co-located at the Lofts is the Pine Valley Commercial Center, with 25,000 square feet of space. 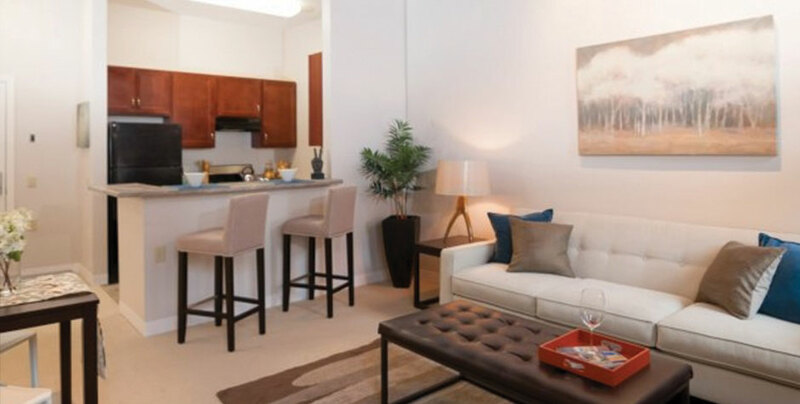 Commercial tenants include a boutique dog spa, hair salon, and various artisans. Opened in the spring of 2014, total developments costs were $11 million. Financing partners included Bank of America and the State of New Hampshire. Federal historic tax credits were also utilized to finance the project.